The meme going around was "Ten Influential RPGs that Influenced Me". Try as I might, I don't want a passive voice title. Star Frontiers: in 1987, my Dralasite threw a tangler grenade and thus opened the gateway into the larger role-playing game cosmos. I had the rules, but I’m fairly certain I never played by the rules. Middle Earth Role-Playing Game: my proxy for Dungeons & Dragons during the Satanic Panic. My mother insisted that Dungeons & Dragons was evil and abhorent. Yet in my house I had a displayed copy of Rolemaster Compaion III that I would take to Sunday School class. 2nd Edition Dungeons & Dragons: the game that I snuck into my house, and from which I ran a long-ranging campaign with fellow high-schoolers. This is the game that cemented numerous friendships that I carry forward to this day. And declaring actions before rolling initiative is still my favorite thing. 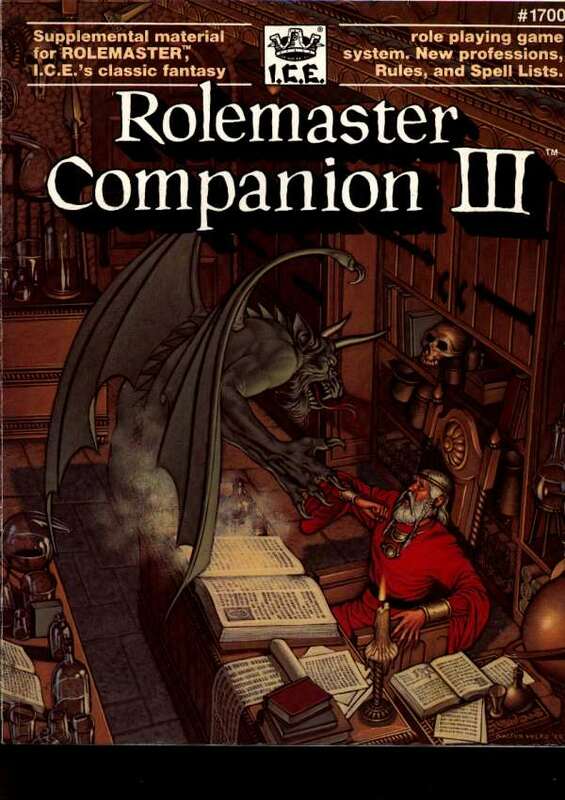 Rolemaster: in 2000, I wrote my first RPG article for the Guildcompanion, highlighting a critical aspect of RPGs—the rules are there for you to hack and extend. 3rd Edition Dungeons & Dragons: a flexible system with lots of player facing technology. More important, an open source rulesset that allowed everyone access and rights to the many layers of the system. Burning Wheel: a masterfully constructed fantasy RPG that puts the rewards and advancement squarely in the hands of the players. The Range & Cover and Fight system exemplify the idea that combat should be unpredictable and ambiguous for its participants. Dungeon World: a game iterated on via Github. I committed changes to what would be the final release. I also wrote up several for sale supplements. And last, the breakdown of Principles and Agendas provides a framework for articulating how you approach an RPG system. Diaspora: I fell in-love with the mini-games, and having played a few space battles using a one dimensional map, I must say that is all I need. Providing a system where out maneuvering a ship is just as viable as disabling the opposition. Diaspora does a fantastic job of highlighting that you need not have a unified set of systems for all elements of your game. Dungeon Crawl Classics: re-iterated that it can be a howling good time to problem solve with a cadre of fragile characters with nominal resources. Whitehack: elegant, minimalist without relying on an understanding of the meta-context that is fantasy RPGs. I’ve been working on a modification and clarification of Whitehack that incorporates some B/X and Lamentations. Ten Influential RPGs (for me) by Jeremy Friesen is licensed under a Creative Commons Attribution-NonCommercial-NoDerivatives 4.0 International License. Based on a work at https://takeonrules.com/2018/11/28/ten-influential-rpgs/. Permissions beyond the scope of this license may be available at https://takeonrules.com/more_permissions/.